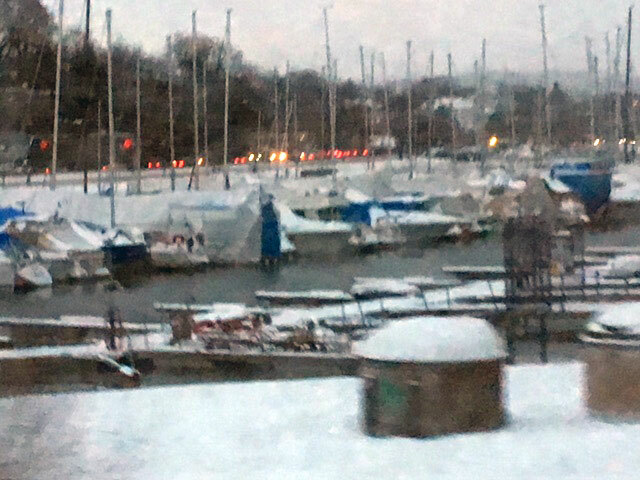 Sailing much in Oslo in February? Nah, not really. Bay Area racer and sailing instructor Steve Sarsfield, who cruises an Ericson 26 out of Bodega Bay, sent us photos from his three-week winter trip to Oslo, Norway. We touched up the first image in Photoshop so that you could see it more clearly. Here’s the original file out of Steve’s camera. Note the blue, dark quality of the ‘daylight’. Although the California coastal hills and mountains received a light dusting of snow this week, we still get to sail year-round here. Even on days with high-wind warnings and rain squalls, like last weekend. We continue to appreciate our great good fortune in living here. A Knarr, Benino, and a Catalina 34, Spirit, raced in the Golden Gate Yacht Club midwinter race on Saturday. Some clubs canceled their races; others coped with the weather. Although Richmond YC’s Small Boat Midwinters were among the races canceled, several Lasers went out anyway. We’ll have more on the weekend’s midwinters in the March issue of Latitude 38. On the mystery boat ID, the consensus seems to be that it’s a Lyle Hess-designed Balboa 20. There were certainly a few other guesses — a Cal 20 and O’Day among them — but using a majority-rule standard, and after seeing some pictures of multiple vessels, we are calling it for the Balboas. Thanks to everyone for playing. We will publish all your comments in next month’s Letters. Thanks for helping Roger Krakow identify his Mystery 20. Also coming in next month’s Letters are the countless thoughtful responses you sent in regarding our ‘driving question’. We had asked what could possibly go wrong if we replaced our current tiller with a larger stick. But we made a bit of a mistake when we framed the question. Not a great picture, but hopefully illustrating my Columbia 24 Esprit’s swiveling tiller action. It’s one of my favorite features. Because the traveler is set aft (rather than a bar running through the center like a racing boat’s), when the tiller is up, the cockpit is nice and roomy — utilized here for a deep clean last spring. So, what we really want is a tiller that’s just a little bit bigger than the original. Nothing crazy, just something that has a little more heft to it. We should mention here that even on windy days, our Columbia has virtually no weather helm. So it’s not a question of more leverage, either. It’s just the perception that a slightly bigger tiller would feel more comfortable. We can’t say why we feel this way. We just do. Our friend the carpenter has taken it upon himself to fashion a temporary replacement tiller. Made from poplar, it will stand in as the stick while he gets to the business of constructing a laminated tiller. It’s good to have good friends. It’s really good to have friends who are outstanding and enthusiastic carpenters. 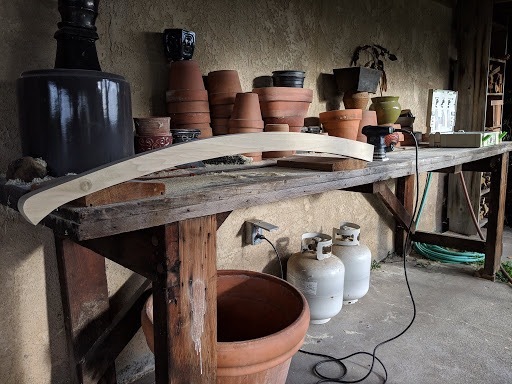 There seems to be near-universal consensus that a laminated tiller is superior to a solid piece of wood in terms of both strength and longevity. But it will also be nice to have a backup stick for worst-case scenarios. 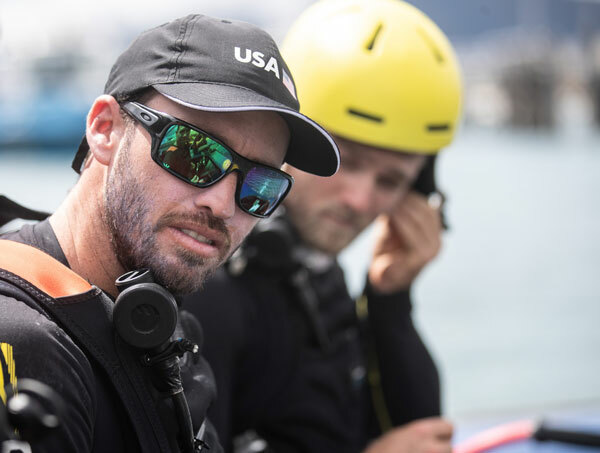 While the Stars & Stripes America’s Cup 36 Team is actively recruiting American sailors, the team’s helmsman has signed on with SailGP’s American team: Taylor Canfield, a US Virgin Islander who lives in Miami. 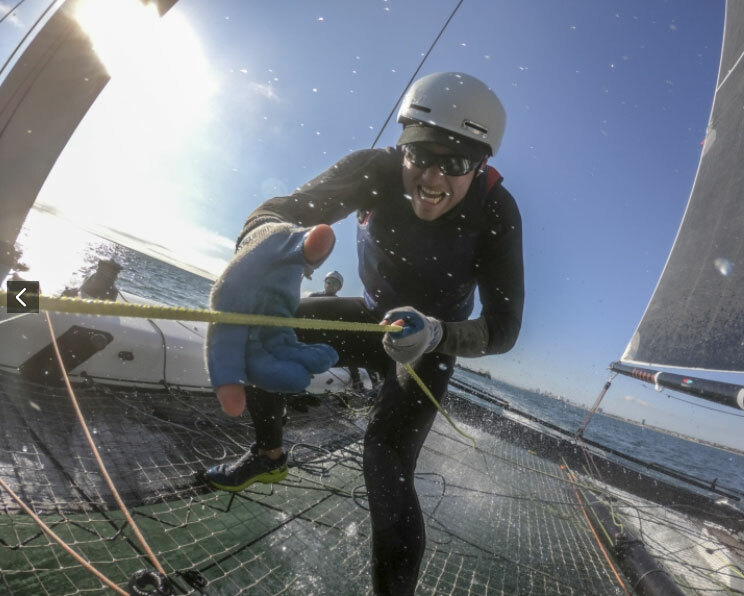 Taylor Canfield will sail with the American SailGP team. 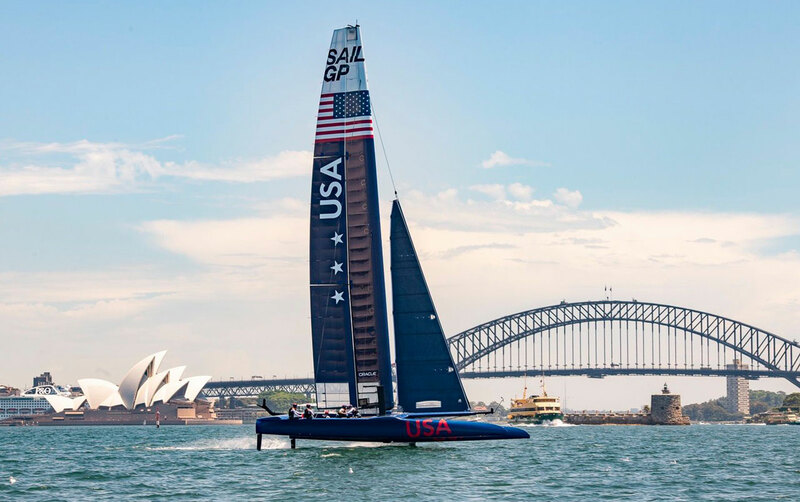 Yesterday, the US SailGP Team’s F50 foiling catamaran splashed into the waters of Sydney Harbour in Australia for the first time. The series’ inaugural event is set for Sydney on February 15-16. The team, led by helmsman Rome Kirby, will face off against five other national teams: Australia, China, Great Britain, France and Japan. The team announced yesterday that Taylor Canfield, World Match Racing Tour and Congressional Cup champion, has joined the crew as flight controller/tactician. Canfield has topped the world match-race rankings for three of the past five years. 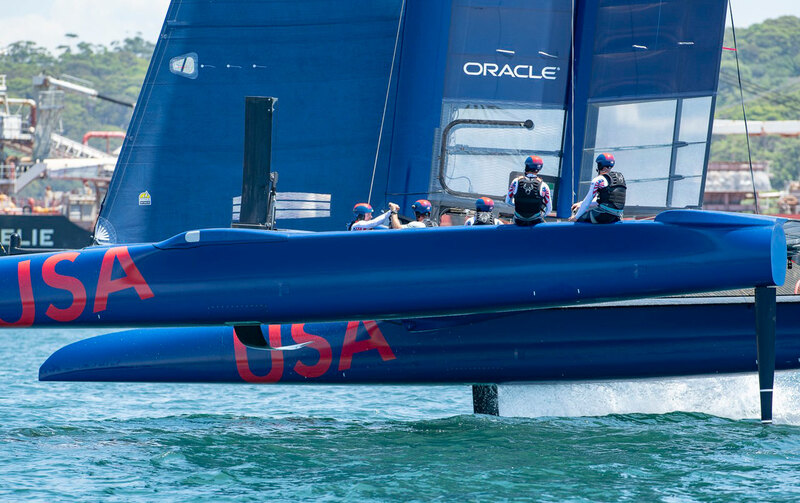 The American crew is the youngest, but Kirby (29), Canfield (30), Dan Morris (31), Mac Agnese (24), Hans Henken (26) and Riley Gibbs (22) count among them multiple world championship wins and numerous America’s Cup and Volvo Ocean Race campaigns to their credit. 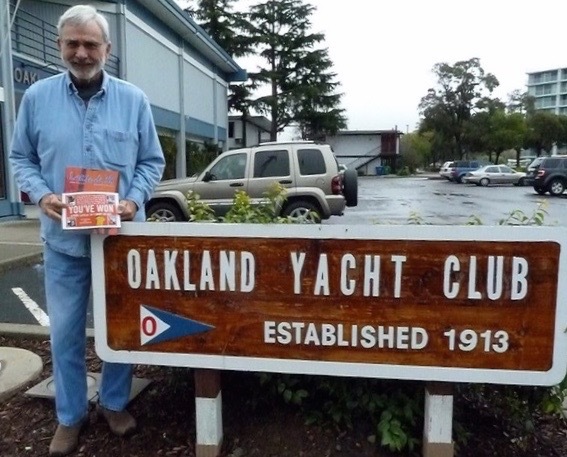 Kirby was aboard the Oracle Team USA boat for the AC34 win on San Francisco Bay in 2013. Agnese, Gibbs and Henken hope to quality for the 2020 Olympic Games in Tokyo. We notice that Oracle is a sponsor of the team. For much more about Taylor Canfield, see our feature profile in the current (Volume 500!) edition of Latitude 38 magazine. Applicants can go to an online Google Doc form here. 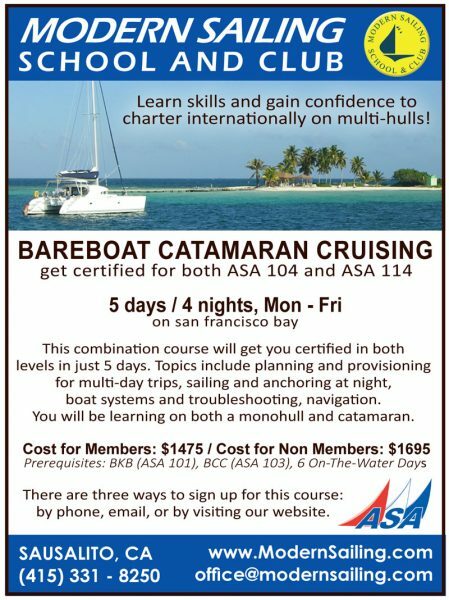 Extreme athletic prowess and endurance are requirements for onboard crew. Stars & Stripes will begin its sailing team recruitment with two foiling camps in Long Beach on February 19-28, and March 10-22. Each camp will be designed to push each sailor’s fitness and sailing ability to the maximum. 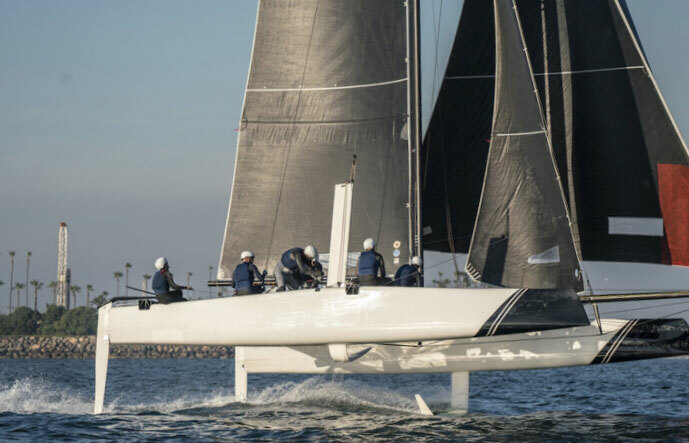 America’s Cup 36 will use foiling monohulls, but the LBYC team is practicing their foiling skills on a GC32 cat. The team is also recruiting shore-based personnel, including engineers, designers and boat builders. The team is already building their first AC75 in Holland, Michigan, at Composite Builders. They are searching for boatbuilding apprentices, students and younger professionals. And the team will need specialists in electronics, software development and hydraulic specialties in the near future. If anyone needed another reason to pick up the 500th issue of Latitude 38, consider this: There are a few Golden Tickets out there, the recipients of which will be the proud owners of brand-new Latitude hats. 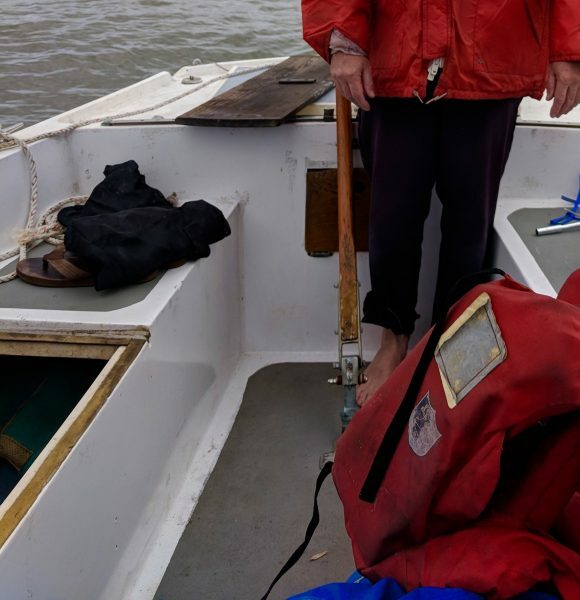 A series of Coast Guard search and rescues two weeks ago and a washed-up vessel now appear to be related. As we mentioned in Friday’s ‘Lectronic Latitude, Yann Guichard, the French skipper of the Swiss maxi-trimaran Spindrift 2, contacted his technical team ashore to report damage to the structure of the starboard rudder. Spaulding Marine Center in Sausalito invites you to a free screening of Master and Commander, starring Russell Crowe, on March 1. We want to re-rig our 30,000 lb. 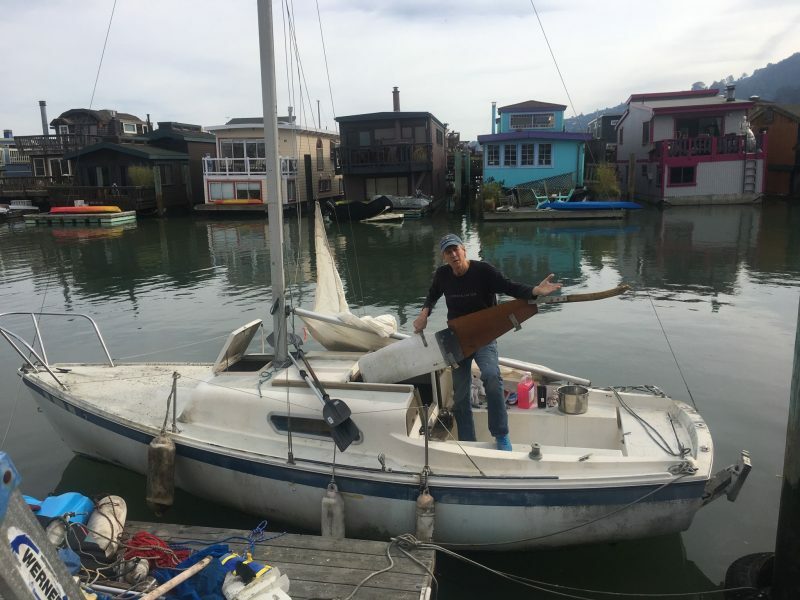 Kelly Peterson 46-ft sloop Esprit with synthetic — yes, plastic — standing rigging, but almost everyone we talk to (except ‘young sailors’ and ‘old sailors’ who have it already) are telling us not to!